In Audition players take to the dance floor in this exciting and stylish dance MMO, either go solo to make your way in the scene or compete against other performers and try to make a name for yourself! With a variety of game modes players need rhythm, timing and flair to excel as well as gearing themselves up with the most exciting fashions and trends using the in game Fashion Mall. Audition has a wide selection of different game modes of various skill levels so that there is something for everyone. Basic gameplay revolves around 4-key or 8-key controls where players must either hit the right combination of keys to perform a dance move or simply hit them at the right time to keep the rhythm of the music. 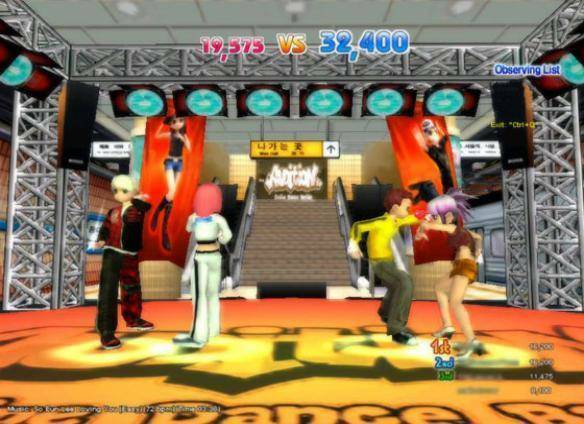 Players can challenge themselves in practice mode and normal mode battling against up to 6 other players in a free for all individual dance mode, work together in choreographed mode where players must stay in sync is a perform polished routines or even play as a couple as you pair up with a partner against other couples. Aside from the gameplay fashion plays a huge part in the game and players are able to create and customise their own individual dancer avatars. The majority of items can be purchased using the in game BEATS currency that is earned through playing, though some items are purchasable by spending BANA CASH, the games premium in game currency that must be purchased with real-world money. In the Fashion Mall players can browse over a variety of clothing, hairstyles and accessories to give their character their own individual look and style. Thousands of different items and styles available players can really create something unique to their own personality. What good is dancing if players don’t have music to dance to! Audition has licensed dozens of songs that players can dance to in the game from both up-and-coming new artists such to massive industry names. With artists such as Pop Idol contestant Allison Iraheta who performed on the show in 2009 coming 4th place, to exciting dance sounds of David Guetta, Cascada and LMFAO, the pop legend Lady Gaga, the more rocky Fall Out Boy or the RnB figureheads such as Ne-Yo, there is something for everyone and the music caters to all tastes!